Just to warn you straight away: If you’re not a fan of pink or florals, you’d best look away now…! 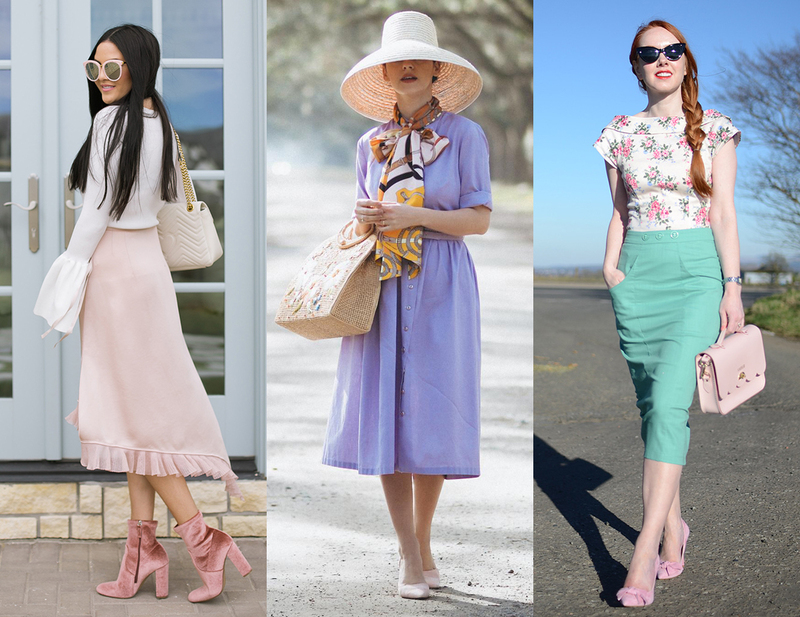 As I’m featuring fashion bloggers who capture that stunning romantic, feminine style on a daily basis, there will be pink… And baby blue, and ruffles, and pleats, and bows, and florals, and heels, and lace. All the girly stuff is here, and I love it. These are the bloggers who you’ll rarely find in Doc Martens, camo, boyfriend jeans, or any sort of masculine chic. There are always exceptions to the rule, but generally these bloggers always have a touch of the feminine to their outfits, even in the dead of winter when they have to pile on the layers like the rest of us. However, spring and summer is their time to really shine – all the floaty dresses, pastels and florals come out in full force. April seemed like the perfect time to shine a spotlight on these lovely ladies and their romantic looks. SPRING AND SUMMER IS THEIR TIME TO REALLY SHINE – ALL THE FLOATY DRESSES, PASTELS AND FLORALS COME OUT IN FORCE. Even within this style category you get a huge range of different styles. Some bloggers have a romantic style with a little preppy thrown in, and others veer towards a slightly more edgy-but-still-feminine look. Some are simply full-on girly with pretty pinks, ruffles and florals. Hopefully you’ll find more than a little inspiration and new bloggers to follow – even if you don’t do feminine all the time (I certainly don’t), you may want to throw yourself at midi skirts and ruffles now and then (I certainly do)…! 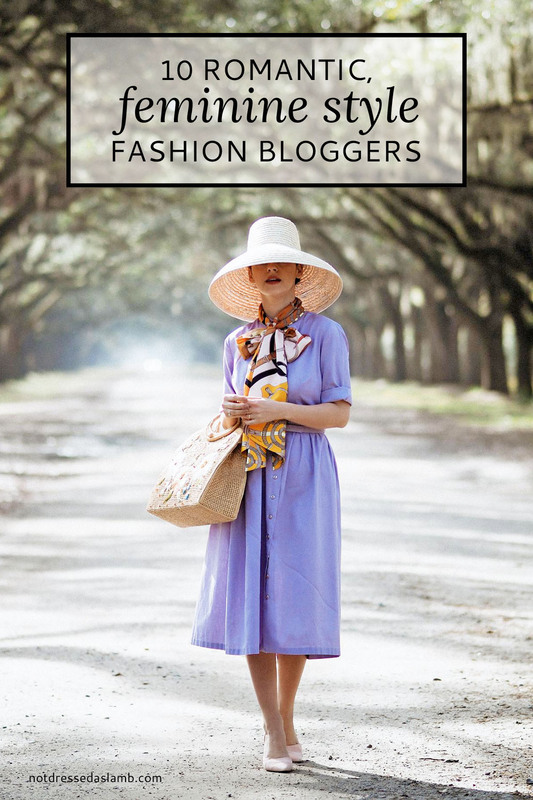 HAVE YOU FOUND ANY NEW-TO-YOU BLOGGERS THAT YOU’RE NOW OBSESSING OVER? (I HOPE YOU HAVE!) COMMENT BELOW, OR TAKE IT TO TWITTER @NOTLAMB! One of my favourite bloggers for a long time, Jenny has that feminine, almost Sixties vibe going on – like a young Jane Birkin or more romantically-styled Alexa Chung. I found it really tough to pick just three looks to feature here… I love just about every outfit she wears, which are always accessorised to perfection. Amy Ann has a wonderful romantic style which is never over girly. A big fan of floaty styles with a little edge, she also wears lace and florals in a very modern way. Her outfits are highly wearable and always fresh and exciting. 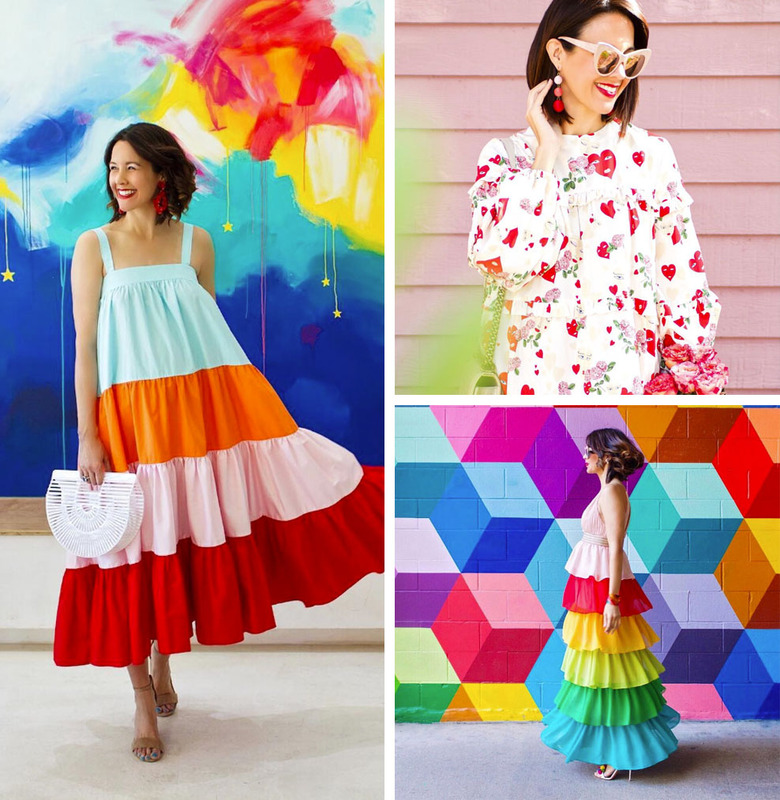 Carrie is a wildcard here – her style is definitely romantic and feminine but her outfits are always an explosion of riotous colour (so are her backdrops). She’s rarely without ruffles or rainbows, but her style is, above everything else, incredibly playful and fun. Looking like Holly Willoughby’s gorgeous doppelgänger, Krystin wears all the pretty dresses. Her accessories add all the feminine touches you could possibly hope for (straw bags, boaters, heels, neck scarves), a look which suits her blonde waves and gorgeous smile perfectly. Veronica is nothing short of a brunette Hitchcock heroine. 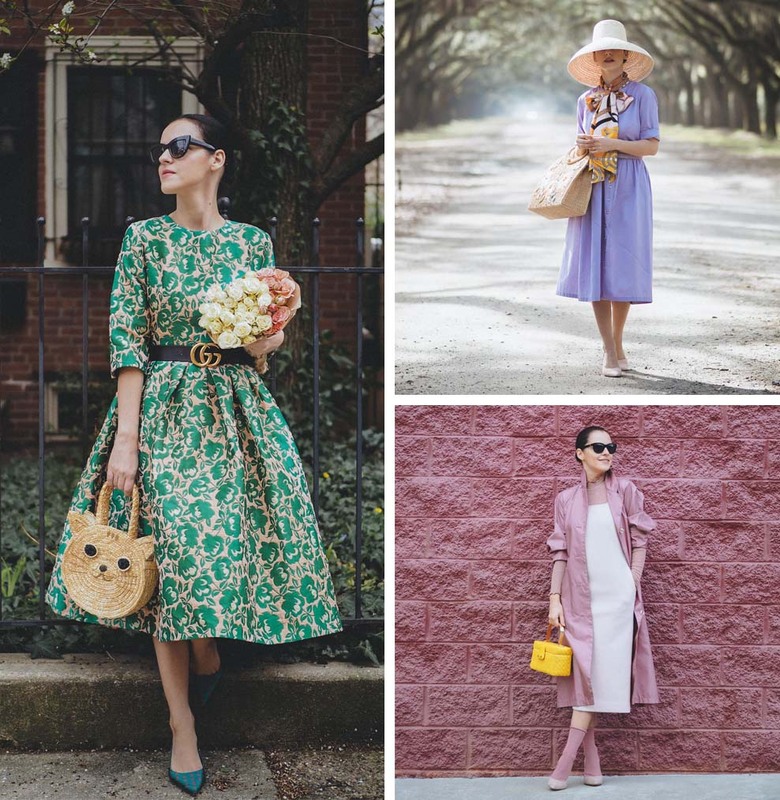 She’s got a slight vintage 1950s vibe to her outfits, with plenty of jacquard florals, full midi skirts and pointed heels. As her blog name suggests she’s always in colour and is always so polished. With her gorgeous mane of auburn curls, Tara does maxi dresses, mini skirts and jeans all in equal measure. She’ll add a feminine touch to her jeans with strappy heels or add a little edge to her ruffles with a fedora and OTK boots – you’ll find an endless supply of romantic outfit inspo on her blog. 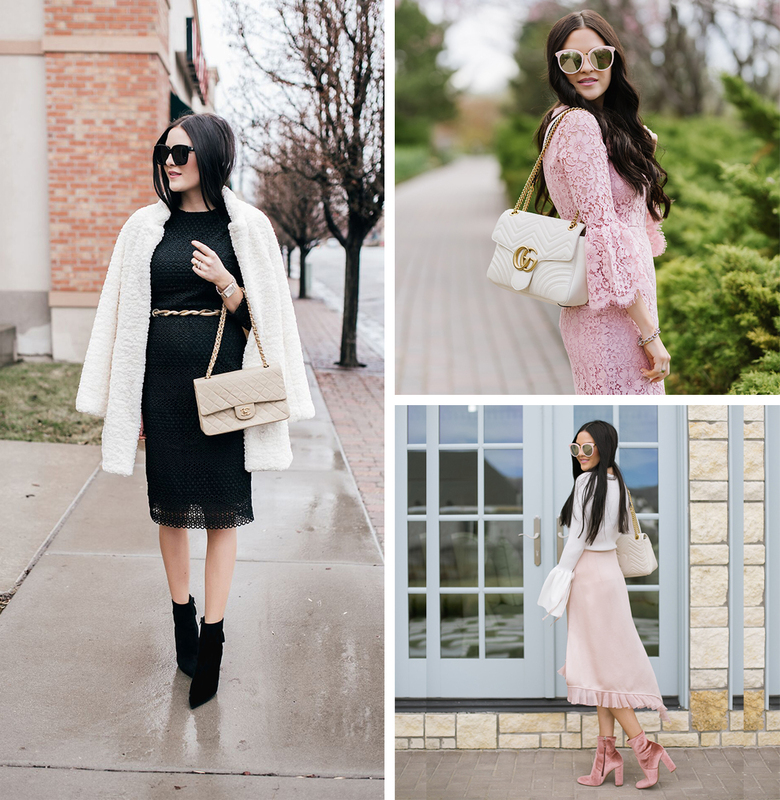 Definitely a feminine blogger with a more edgy style, Stephanie wears all the pinks and all the lace – but her looks always have something unexpected like an unstructured dress jacket or lace mixed with a modern floral print. Definitely one to follow if you like your ladylike looks to be a little more contemporary. The epitome of romantic chic, Daphné’s style is unequivocally French but she certainly doesn’t end up looking dull in outfits that are just too pared-down or too boringly classic – think soft, pretty looks in blush pinks and whites with preppy touches of neutrals and gingham… more French Riviera than sleek Parisienne. 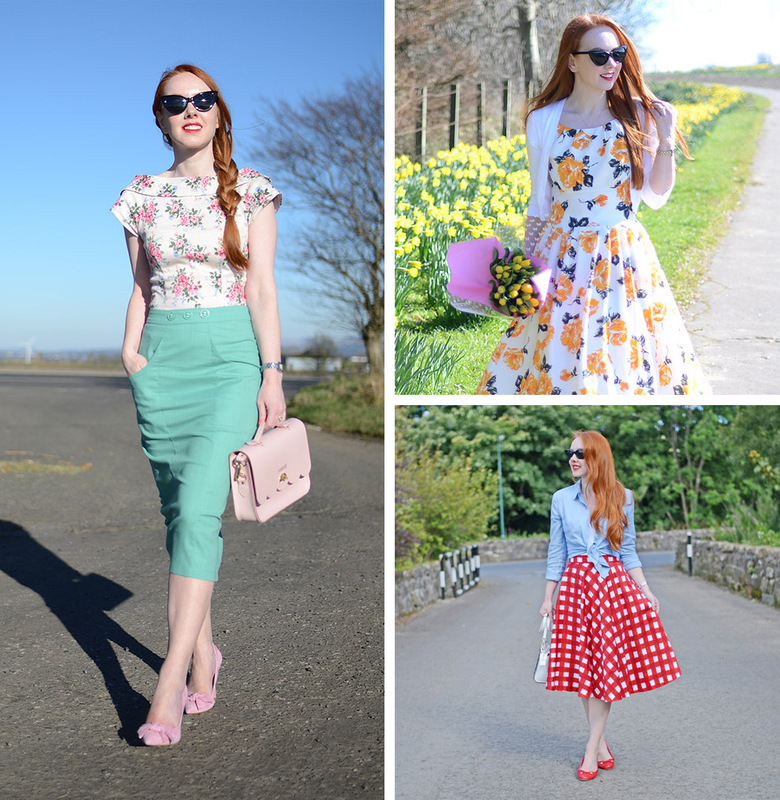 A favourite of mine since, er, forever, a list of feminine style bloggers wouldn’t be complete without Amber’s floral midi skirts or enviable collection of colourful heels. Even in the middle of her Scottish winters she still looks like she’s stepped off a movie set – she simply swaps the courts for heeled boots and the floral summer dresses for tailored coats and faux fur. 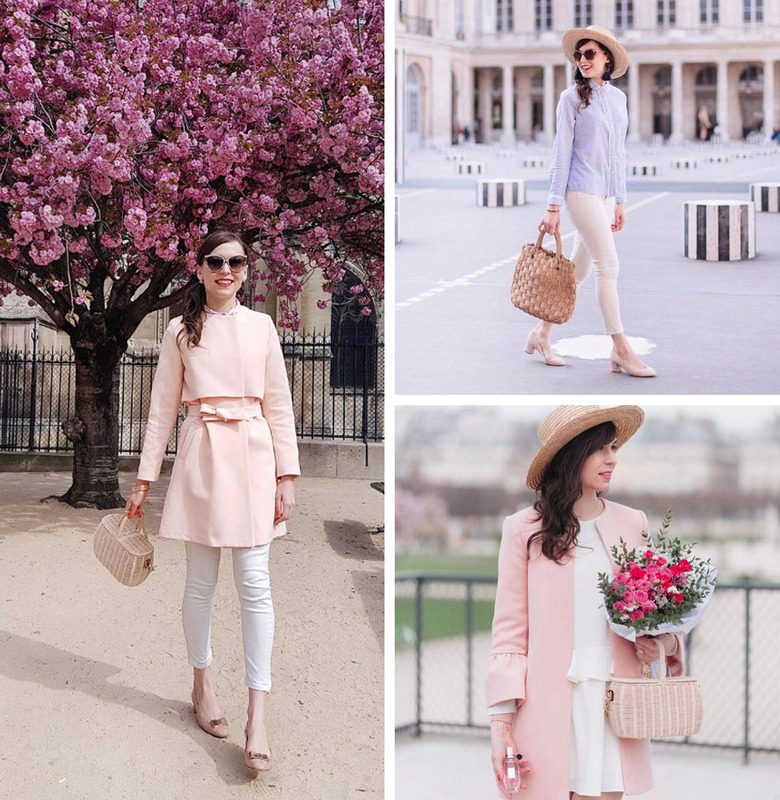 Like many other highly successful bloggers have done, Rach has created her own line of clothes – hers are unsurprisingly feminine, romantic and classic. Never knowingly seen without at least one of her signature ruffles, lace or high heels, she adds a touch of surprise to her look with her raven hair rather than the obligatory honey blonde waves. I really enjoyed great description.These are so many gorgeous outfits!I must try and incorporate these into my outfits. I'm so happy to see you've included Amy Ann! She is one of the sweetest bloggers! Love this list of beautiful women. Hi, I just found this feature from the traffic it was generating to my blog and just wanted to say a huge TNANK YOU! I truly appreciate the feature and credit as well as your kind words. I hope you are having a wonderful week! A lot of lovely bloggers but it would have been nice to include at least one who was over 40 to show how such styles might look on older women without perfect figures. I'm a wee bit disappointed in that. The thing is, Margie, I don't specifically look for bloggers of a certain age unless I'm featuring bloggers of that age – the style I chose was romantic, feminine styles. I didn't look at the ones I'd chosen thinking they were any specific age, the styles will suit you if you like that sort of look not matter WHAT your age. I personally would take elements from all these bloggers' styles and work it into my own style – they wouldn't look any different on someone who's 20 or someone who's 60 as I choose bloggers who OWN a particular style, those that suit what they're wearing. You're also suggesting that all young girls have "perfect" figures (that's subjective), and that women over 40 DON'T have "perfect" figures. That's grossly unfair. One blogger I was going to include was 40+ Liz of What Lizzy Loves, but her style is less romantic these days and she's gone more monochromatic and more edgy, so I left her out. However she has what I'd call a "perfect" figure – endlessly long legs and super slim, should I have not included her because she has a "perfect" figure?! And there are many 20-something girls who don't have what is universally accepted as "perfect" figures, but again, that's subjective. I simply compile these lists over time, and when I have enough to run a feature on them that's what I do. Their age isn't what I'm showcasing here, it's their style. I took absolutely no notice of how old any of them were – some lists have a mix of ages, some don't. That's just how the cookie crumbles. I love all the girlie, floaty, feminineness (I think I just made that word up!) here and I often wish I was more girlie in my style but I just can't seem to give up my jeans which I seem to live in pretty much every day lol! Like you say, as the weather gets warmer it does get a little easier though! Wonderful post, Catherine. Thanks for introducing us to some stunning bloggers. I wonder if there are any other 40+ girlie bloggers out there? I always turn to dresses in the summer, Suzy… I just can't do it in the winter like these lovely gals do! !